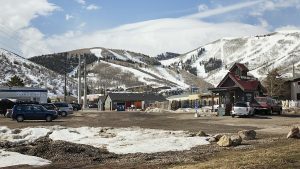 When the Park City School Board voted to have the school district join as a full partner in the Mountain Recreation Facilities Master Plan process last month, it necessitated a change in scheduling. Two school sites, Ecker Hill and the Kearns campus, had to be included in the design concepts for possible new facilities. 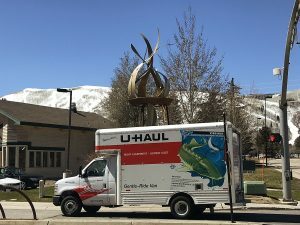 The second public meeting to review those concepts was pushed back a month, to April 27, and was held at Park City High School. JJ Ehlers, vice president of the Park City School Board, was in attendance for the presentation. Afterward she stepped out of the lecture hall and into the lobby, where poster boards of all the different concepts were on display. Ehlers said it was her first time getting a good look at the concepts. "I think they’re great," she said, before adding, "It’s a hard one, though, because until we know exactly which way we want to go We know that the high school is going to be expanded, but until that process is done it’s hard to say exactly what I think about the other pieces." Having said that, Ehlers said she appreciated the work done over the last month to examine the district’s needs, including surveying coaches and staff to determine which current facilities are overwhelmed and which teams have the most trouble finding practice time. "They seem to really understand that our needs are pretty great and they need to be on the district land, not out at Basin Rec or something like that," she said. "We have needs and we want our students to be able to stay here." Ehlers said her hope for the Mountain Recreation Facilities Master Plan is that the district’s students can be better served, and served as close to home as possible. "Volleyball teams leave town to practice. Soccer teams are practicing in Salt Lake all the time," she said. "I mean, if we are going to be a sustainable community, keeping our kids here helps, as opposed to driving them up and down the canyons. Never mind that these are 16 year olds." Ehlers is happy the school district is on board. "I think out of the bond, part of what came out of that was that the community felt like they wanted to see all three of us working together," she said. "And we were working together. We were sharing facilities, things like that. But the public didn’t see it. "To me [joining the Master Plan] seemed like a no-brainer. We are all partners and we are sharing in all of this. We understand that if we lose a field here it has to be replaced somewhere else, and it makes sense for all of us to be on the same page with things like that." Lisa Benson, project manager for Landmark Design, led the presentation. She said the work done over the past month to review the school district’s needs showed there is a lot of pressure on indoor facilities and aquatics, in particular. She said students are often using city or Basin Rec facilities, which only exacerbates the issue. "Is there a way through this process that we can ease some of that pressure on all these public facilities and meet some of the school’s needs?" she asked. Design concepts for Ecker Hill showed a reconfigured dropoff area at the entrance to keep traffic moving and to add more parking, as well as several different ideas for how to improve the aquatic facility there. One concept called for demolishing the existing facility and starting fresh, while another called for using the existing shell if possible. At the Kearns campus, Benson said the demand for indoor recreation space is high. She said the gymnasium space is undersized, and some of the support facilities have issues, as well. "There is no gathering area in the locker rooms where you can address a whole team without lockers sort of blocking views," she said. "Also the support facilities between coaches, between the men and women, are not equal. And just a lack of space for visiting teams, too." Steve Swanson, a local resident who was part of the group Citizens for Better Education, was a vocal opponent of the district’s bond effort. Specifically, he said, the recreation component. After reviewing concepts at the Master Plan meeting April 27, Swanson said he is cautiously optimistic. "It could be a better approach. I think time will tell," he said. 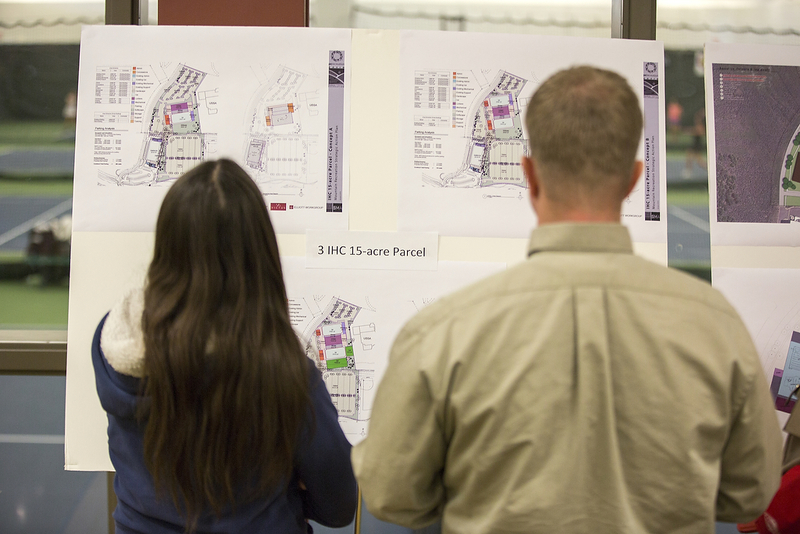 "Tonight we saw a revised plan for Kearns, and we’re seeing more options. And that makes me a little more hopeful." Landmark Design presented three new design concepts for Ecker Hill and the Kearns campus, and that alone, Swanson said, was a breath of fresh air. "This is a better approach for sure," he said. "Something like this takes a lot of community input. And they are creating a weighting system to measure the different needs. It’s very complex but that’s exactly what we need." Swanson said he was particularly glad to see some of the concepts for the Kearns campus included keeping Dozier Field where it is. 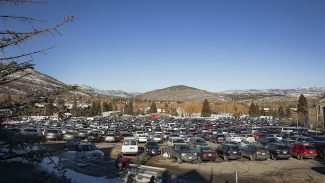 He also said he would support the construction of a new aquatic facility in Park City. "A good-sized pool, maybe with an outdoor component," he said. "And they should not try to squeeze it into the MARC. I think it’s already very well used." Swanson said he also hopes the designers don’t get carried away and utilize too much of the community’s green space for new fields and facilities. "Leave some places alone," he said. "We like the idea of keeping some places natural." Pam Larazo, a resident who lives in the neighborhood just north of Park City High School, said she was opposed to the district’s bond effort but pleased with what she saw at the April 27 presentation. "We are thrilled with some of these ideas," she said. "It feels like our voices are really being heard." Larazo said she appreciates that the city, Basin Rec and the district are all working together. "I love that they are trying to disperse, to evenly spread out things, which I think will work for everyone instead of it all being concentrated in one spot," she said. 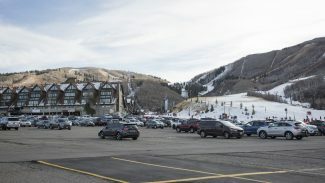 Larazo said when the Master Plan process wraps up she is hopeful Park City kids will have their needs met, though she deadpanned that may not even be possible. "We joke about this all the time, but we probably need 10 new fieldhouses in this town with how active our kids are." The next public meetings for the Mountain Recreation Facilities Master Plan May 25, from 11 a.m. to 1 p.m. at the Basin Recreation Fieldhouse and from 5 p.m. to 7 p.m. at the PC MARC. For more information and to view the concept designs, visit http://www.RecFacilitiesMP.org.